At some point during the infancy of a startup, you will need to protect your intellectual property (IP). IP is an area of the law that deals with protecting your company’s products and brand name and grants you exclusive rights to it for a specific period time. Given The Hub’s focus on incubating companies in the Clean Energy, Biosciences, Defense/Homeland Security, Aerospace, and Advanced Manufacturing fields, the area of intellectual property you will likely deal with the most is patents. Patents grant inventors the exclusive rights to control and profit from their creations — which can be anything from both physical devices and machines to more intangible things like a technological process. Like most IP rights, the exclusivity granted to an inventor has time limits. In the US, a patent lasts for 20 years from the time it is filed. As a technology startup, your business no doubt revolves around a very specific idea such as a more efficient solar panel, a new medical research process, or the next advancement in semiconductors. All of these things can be patented, and you have the exclusive right to do with it as you choose in exchange for disclosing the invention to the public. Patents can also be sold, licensed and even given away just like real estate. Patents are issued by The United States Patent and Trademark Office, part of the Department of Commerce. For specifics on the application process and fees, here is a helpful FAQ. Trademarks are essentially brand names. They constitute names, logos, words, etc. 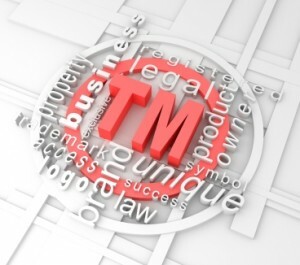 The purpose of a trademark is to identify it as coming from a specific manufacturer or merchant and distinguishing it from other sources with similar offerings. You are not required to register trademarks with the US Patent and Trademark Office, but it is highly recommended. (You may simply use the “™” symbol in commerce and it will apply, however the “®” symbol may only be used with federally registered trademarks.) If your trademark is registered, then you have greater authority to sue third parties for trademark infringement if someone uses your IP without your consent. And, unlike a patent, a trademark can last indefinitely as long as you continue filing post registration documents. Visit the US Patent and Trademark Office’s FAQ section on trademarks for more detailed information. No matter what type of IP protection you are applying for, it is best to consult an attorney, if you can afford it, to help you navigate the registration process due to its complexity. If you want to keep costs at a minimum, visit LegalZoom for help.